This fund shall award scholarships annually to graduating eighth graders, who participated in athletics at St. Michael School in Worthington, Ohio and who are attending a Catholic high school. Help support the St. Michael Athletic Association scholarship program to award high school scholarships to the top graduating St. Michael student-athletes! 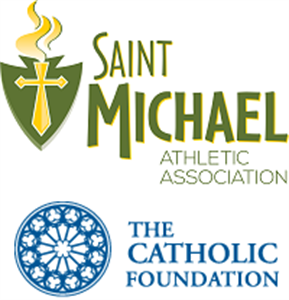 Donations go directly into a professionally-managed endowment account with The Catholic Foundation that will be used to provide scholarships annually to top graduating 8th grade boys and girls who participated in St. Michael athletics and are attending a Catholic high school in the area. Thank you for your generosity and supporting the SMAA scholarship program to help St. Michael student-athletes continue their Catholic education in high school!